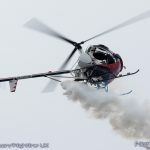 OTTO has been a legend of the North American airshow industry in the hands of Roger Buis, Craig Hosking and Bob Hosking. 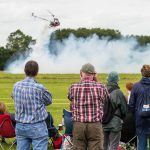 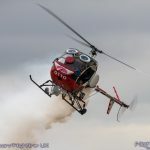 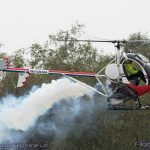 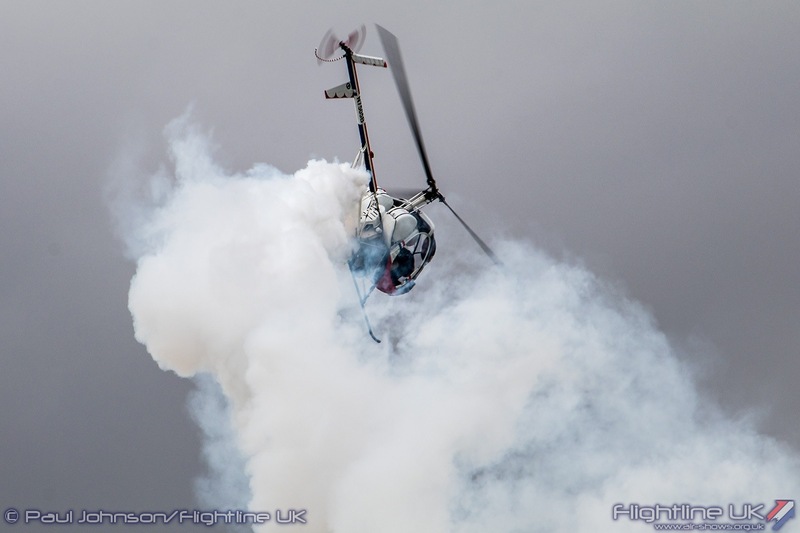 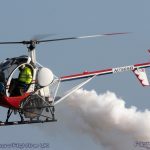 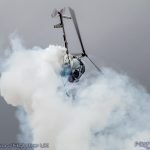 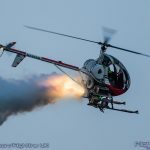 In the capable hands of Roger Buis, OTTO has entertained airshow fans all over the US, the UAE, Mexico, Canada and Australia. 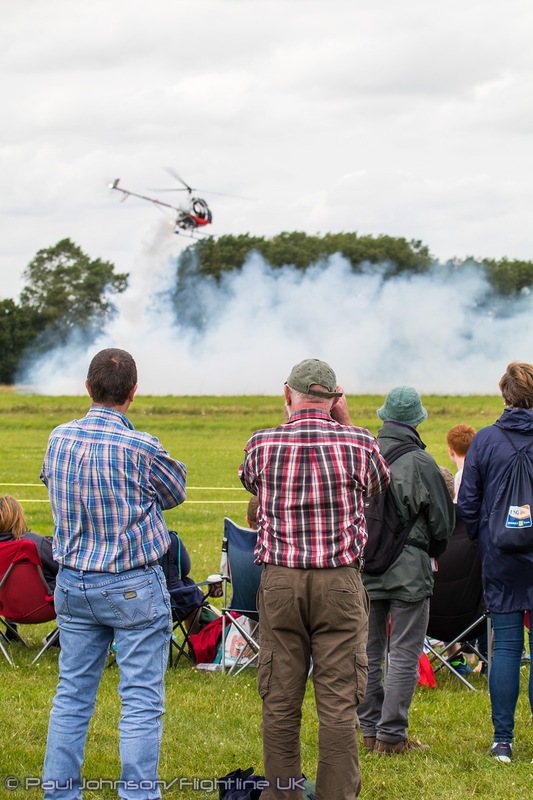 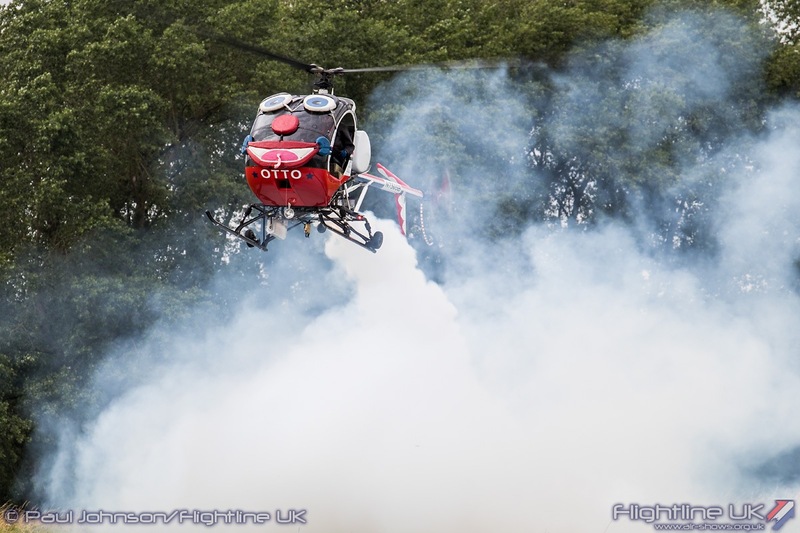 Now based in the UK, OTTO has continued the legacy set in the USA displaying across Europe with unique and entertaining displays suitable for events large and small. 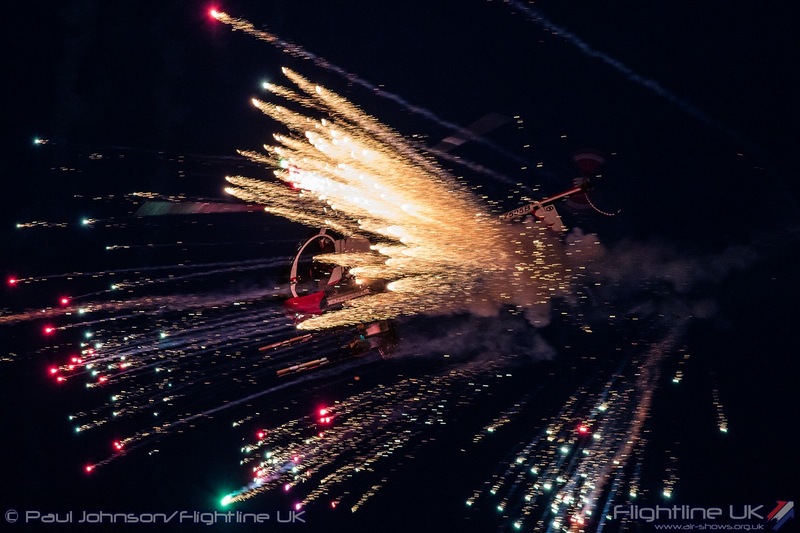 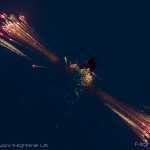 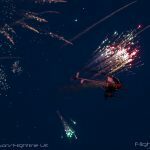 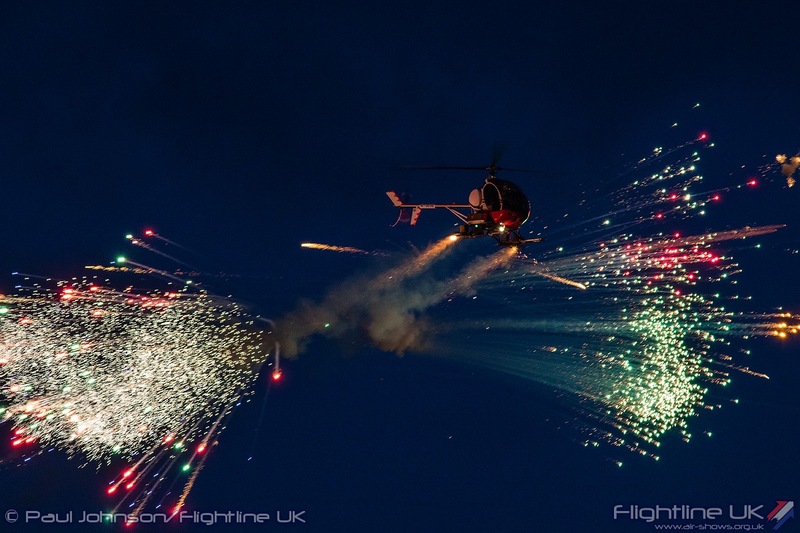 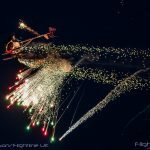 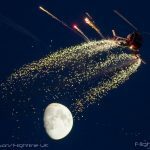 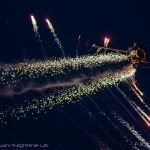 As well as traditional daytime displays, OTTO also performs amazing evening displays with spectacular pyrotechnic effects. 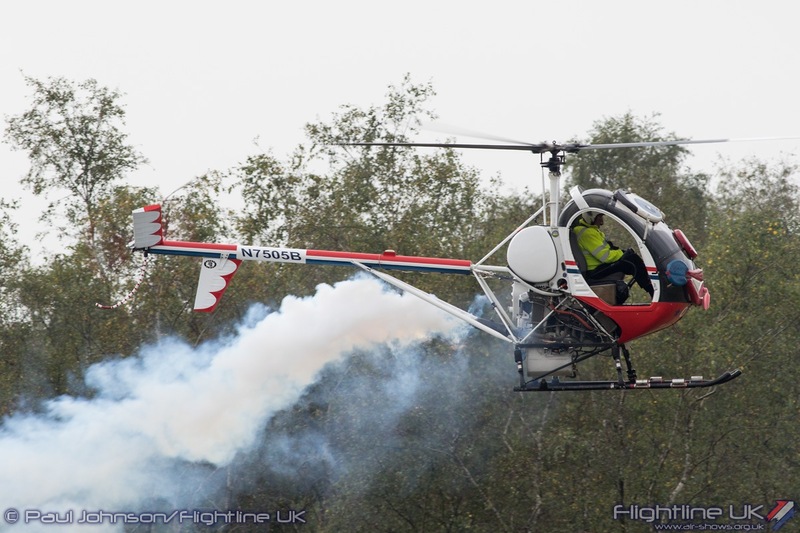 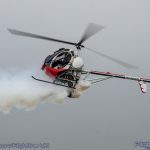 OTTO is a Schweizer 300C helicopter. 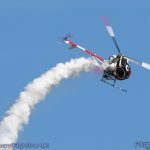 With its fully articulated, three bladed rotor system OTTO is ideally suited for our sensational rotary displays. 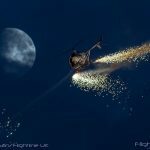 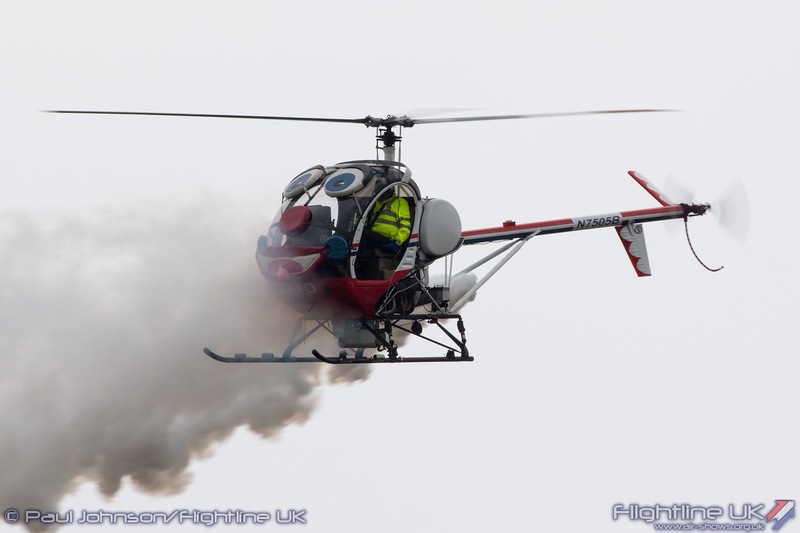 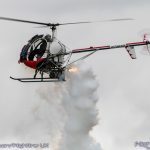 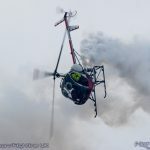 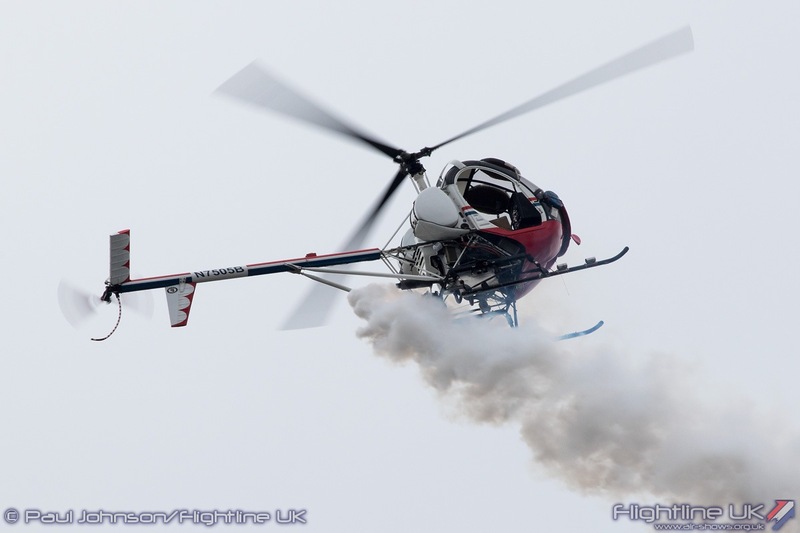 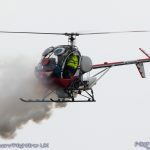 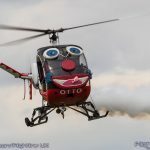 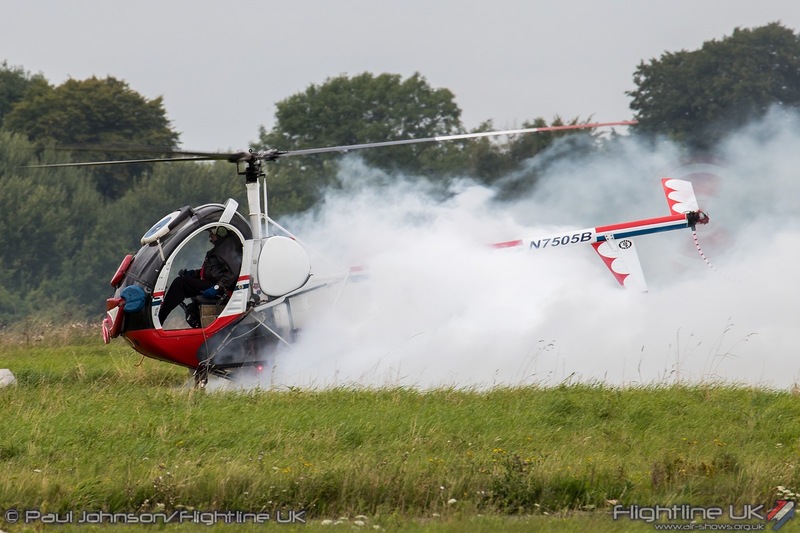 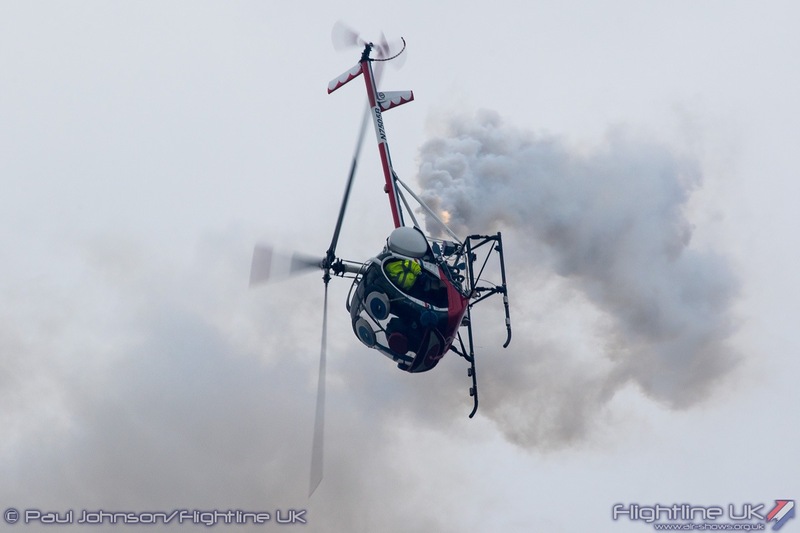 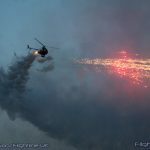 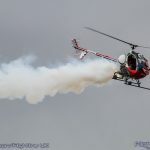 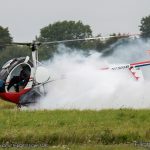 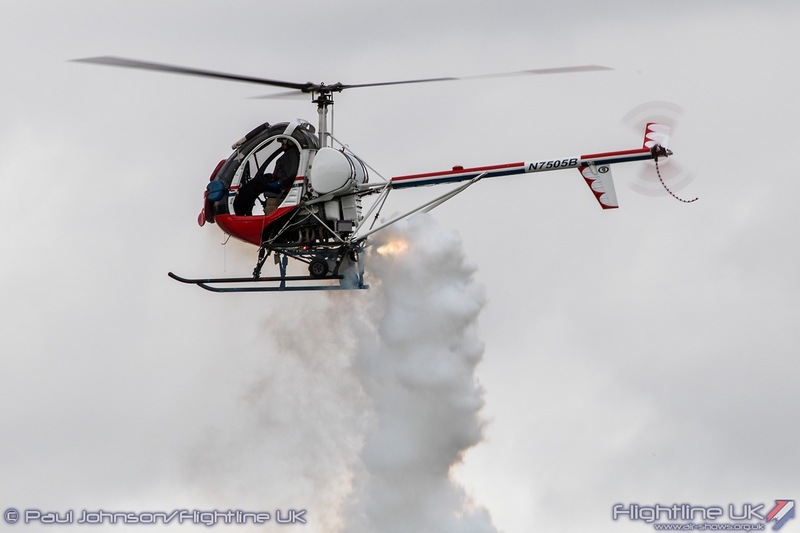 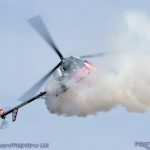 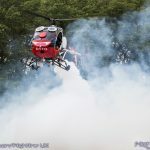 OTTO is an incredibly nimble helicopter and performs some enthralling “chopperbatics” complete with his awesome smoke system. 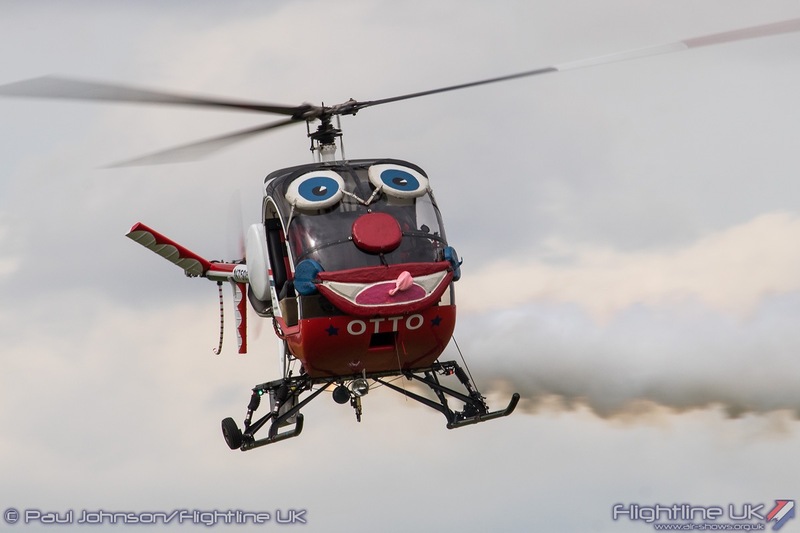 OTTO can perform at venues of all sizes and comes into his own at restricted venue as OTTO doesn’t need large areas to turn. 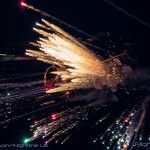 Evening displays are a growing area with UK and European displays and can generate a lot of media and social media coverage for your event. 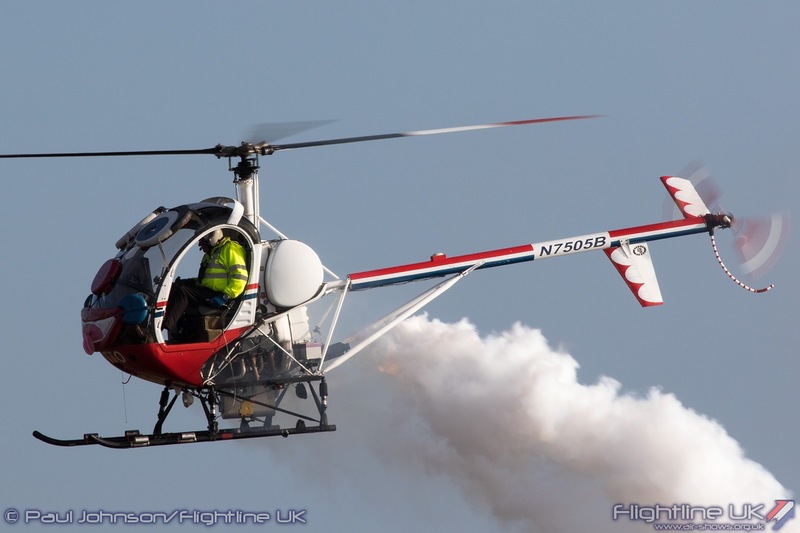 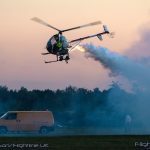 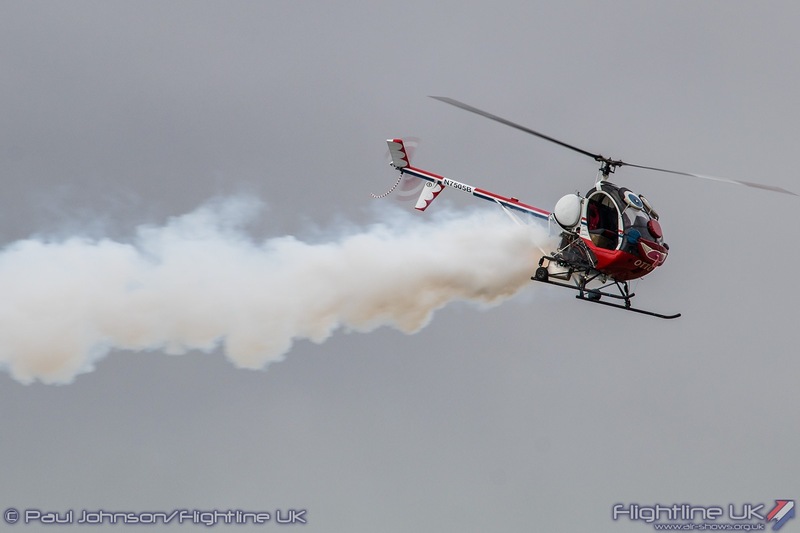 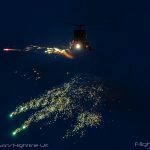 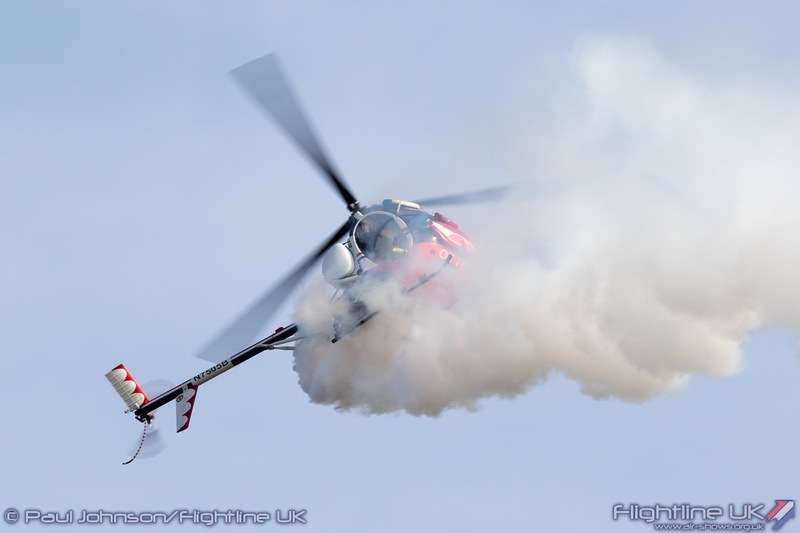 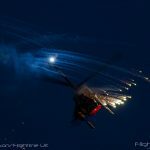 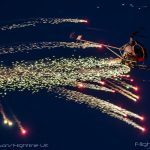 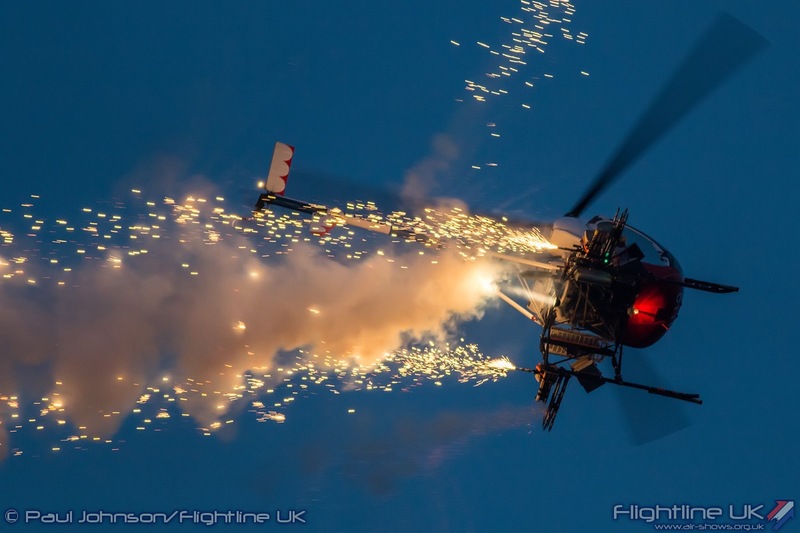 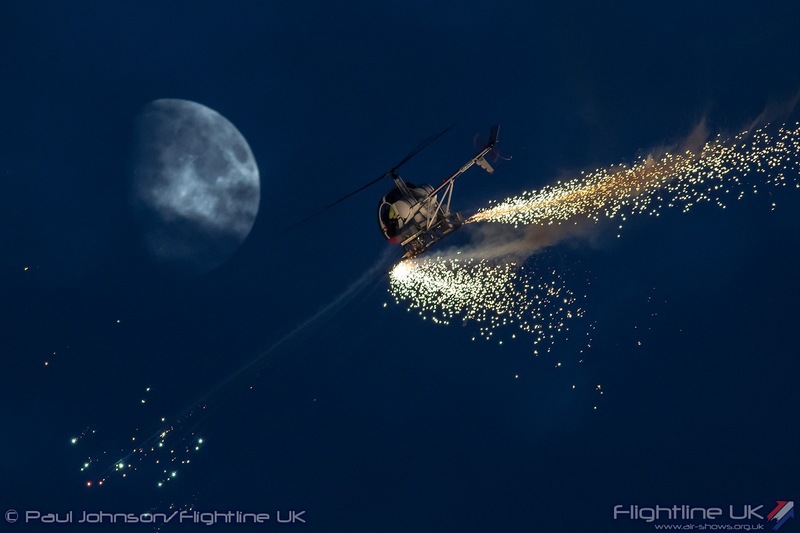 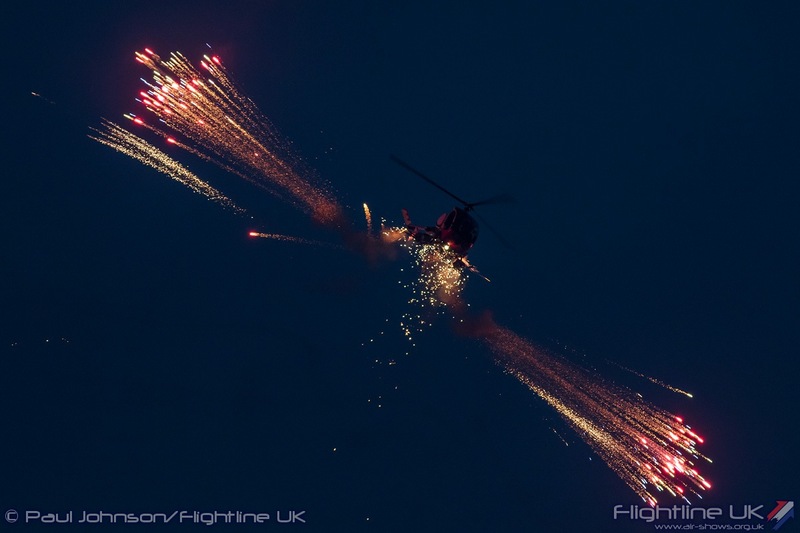 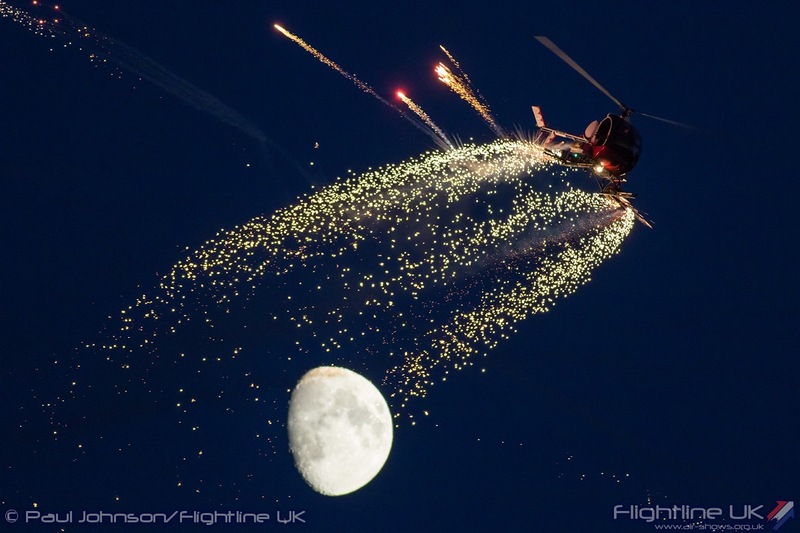 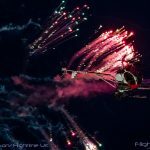 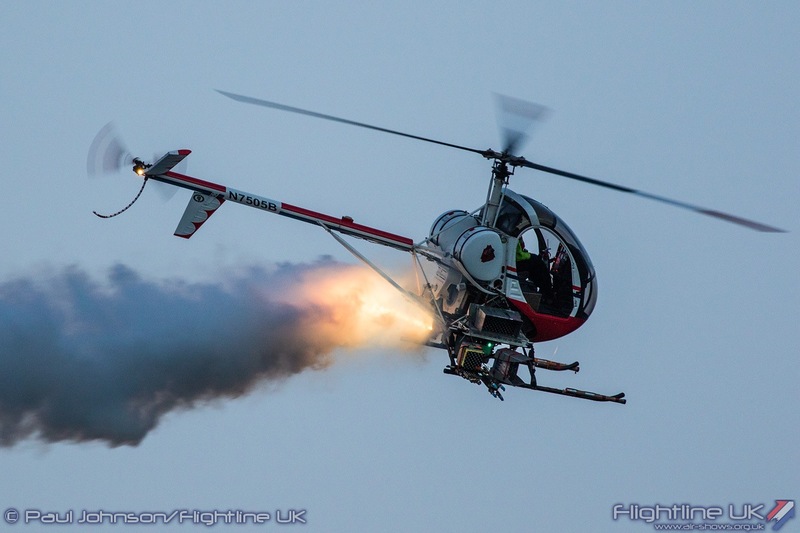 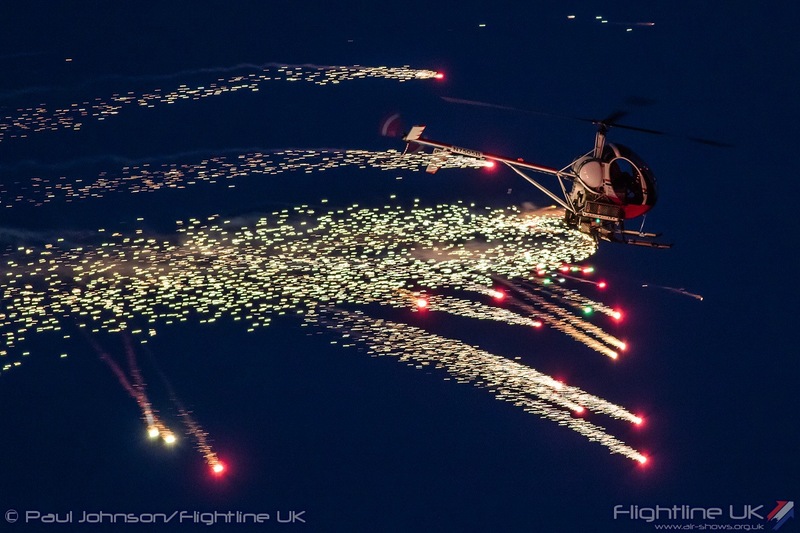 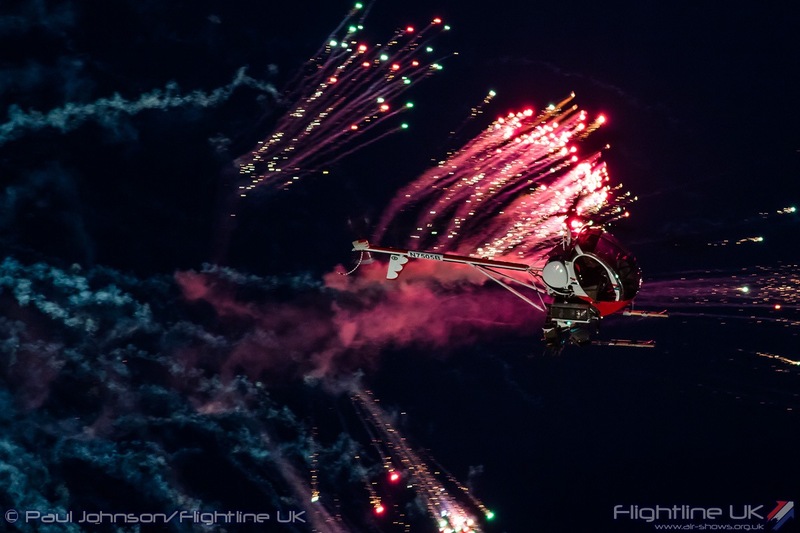 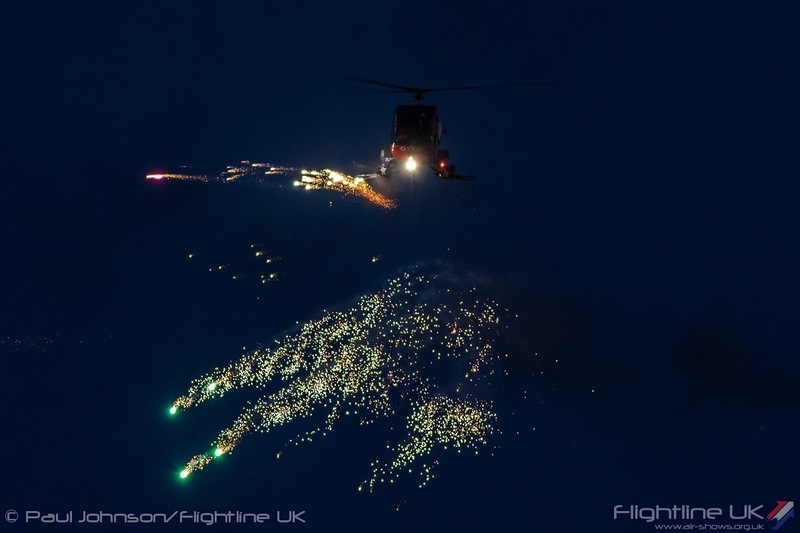 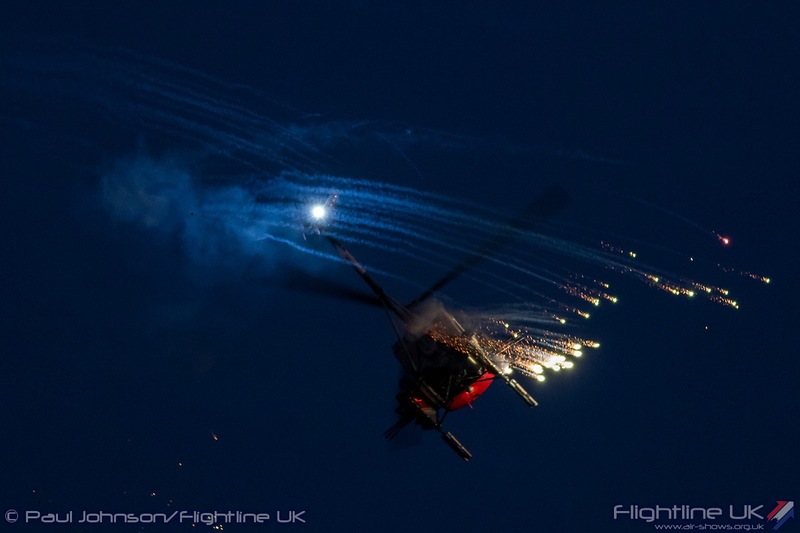 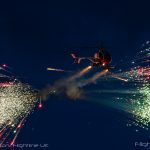 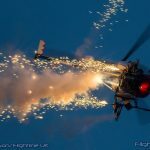 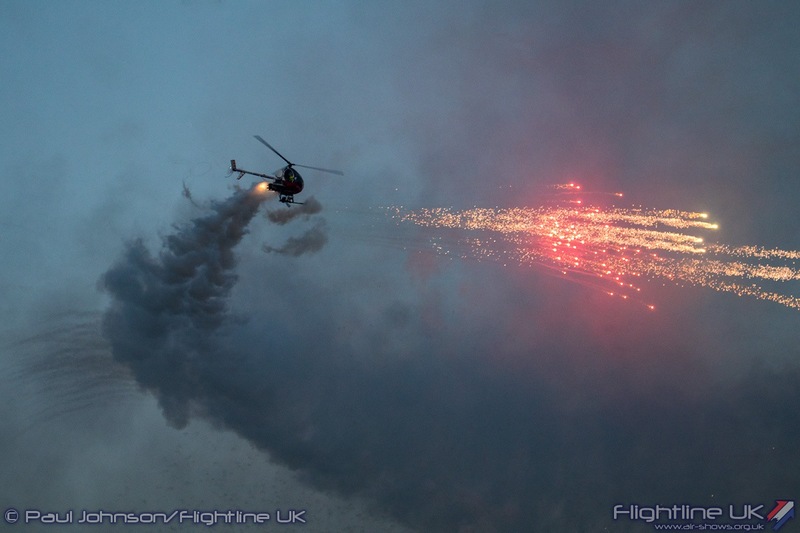 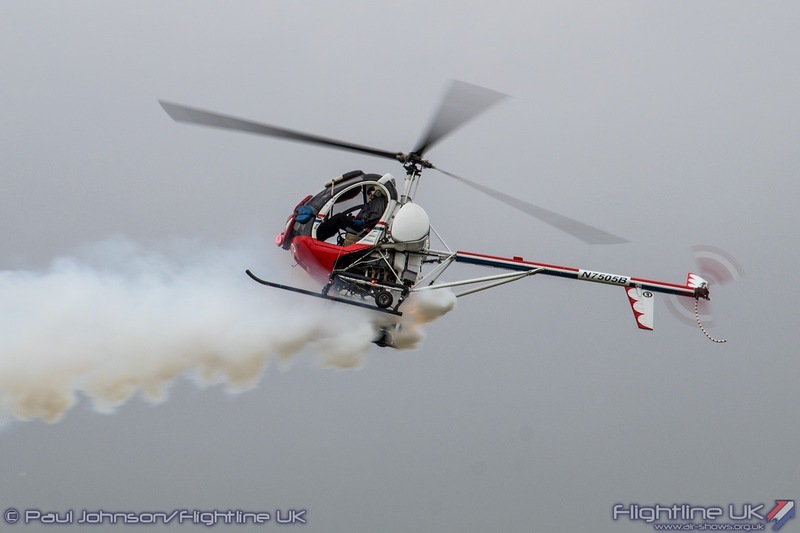 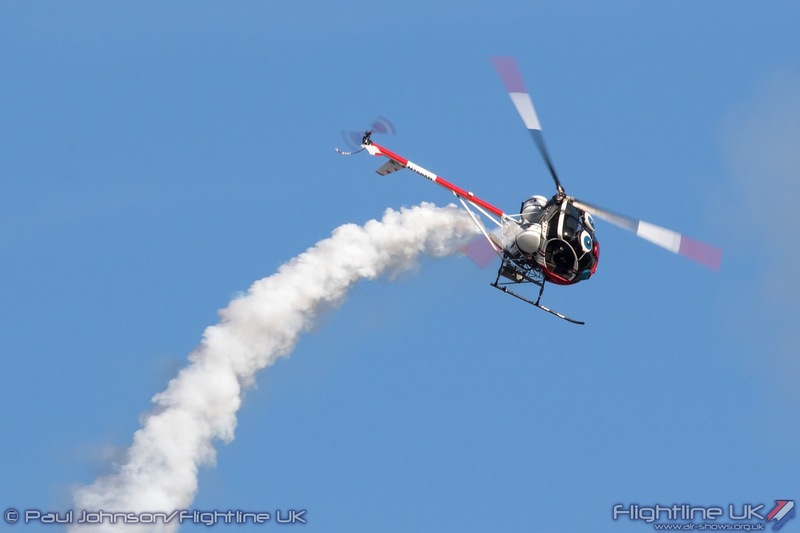 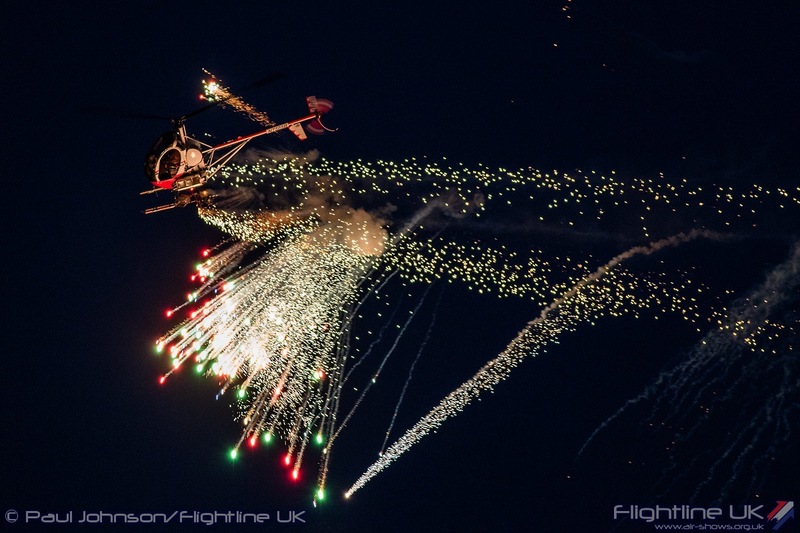 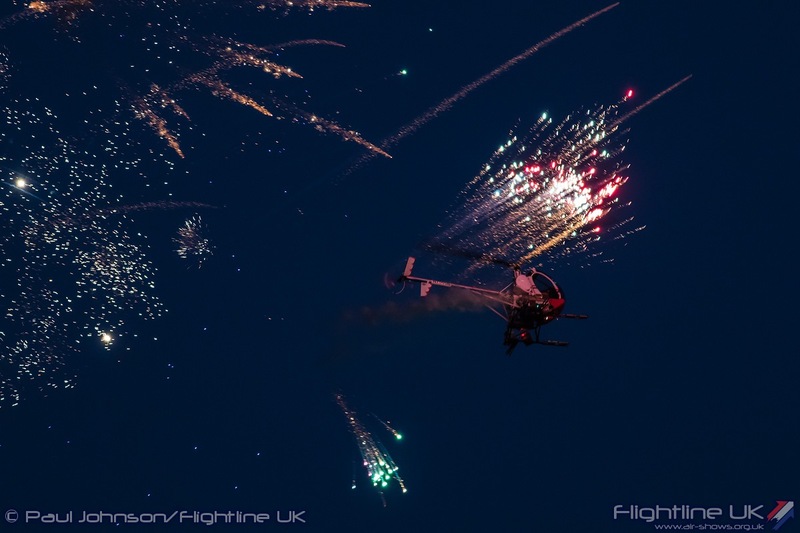 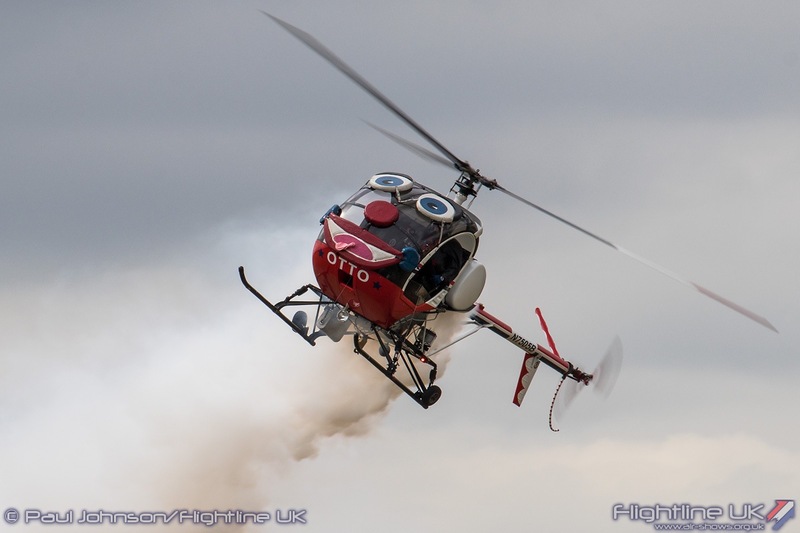 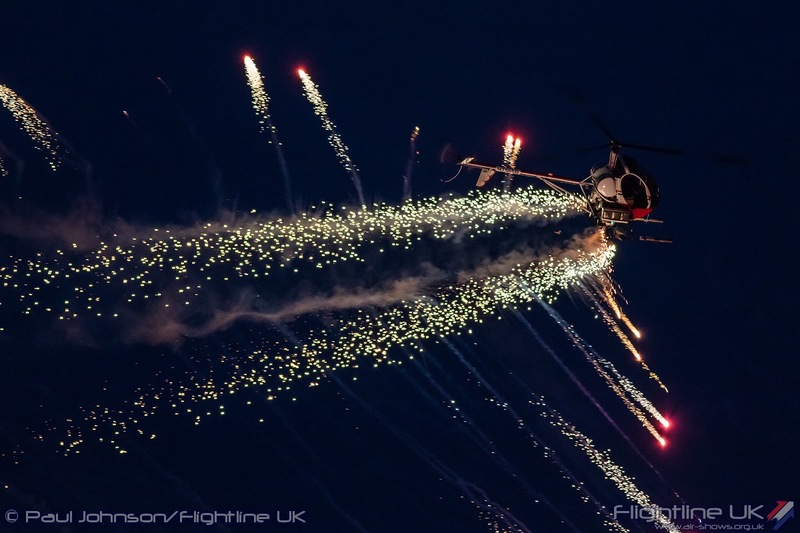 OTTO performed at the 2017 Clacton Airshow during their Thursday evening show. 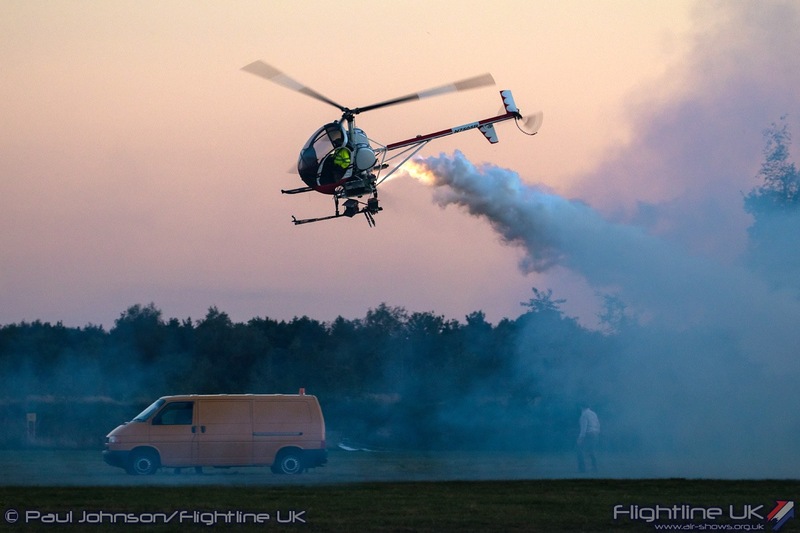 BBC captured the displays on film and the resulting video became one of the one viewed news-clips over the following weekend.